Nor Love you any more. Your breath within my own. Where love is now my home. Pendant measures 31mm (1 1/4") long including bale and 21mm (13/16") wide and comes with and 18 inch Sterling Silver Chain. 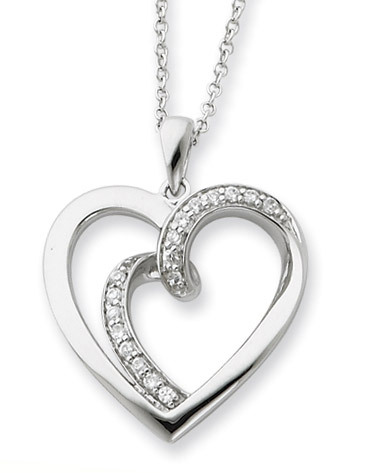 We guarantee our Two Hearts One Flesh Sterling Silver Heart Pendant to be high quality, authentic jewelry, as described above.